The globalization of Christianity, its spread and appeal to peoples of non- European origin, is by now a well-known phenomenon. Scholars increasingly realize the importance of natives rather than foreign missionaries in the process of evangelization. This volume contributes to the understanding of this process through case studies of encounters with Christianity from the perspectives of the indigenous peoples who converted. 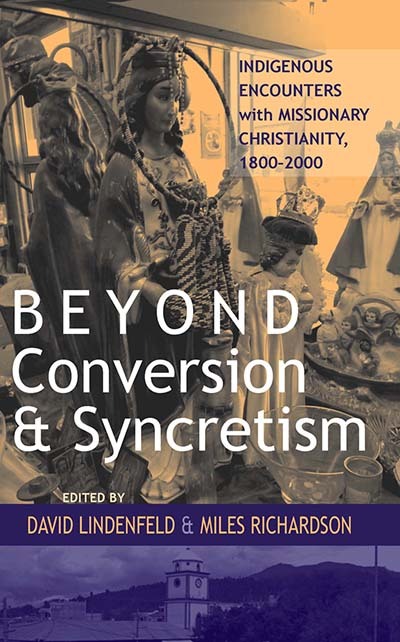 More importantly, by exploring overarching, general terms such as conversion and syncretism and by showing the variety of strategies and processes that actually take place, these studies lead to a more nuanced understanding of cross-cultural religious interactions in general—from acceptance to resistance—thus enriching the vocabulary of religious interaction. The contributors tackle these issues from a variety of disciplinary perspectives—history, anthropology, religious studies—and present a broad geographical spread of cases from China, Vietnam, Australia, India, South and West Africa, North and Central America, and the Caribbean. David Lindenfeld is Professor of History at Louisiana State University. Trained as a Europeanist, he has published The Practical Imagination: The German Sciences of State in the Nineteenth Century (University of Chicago Press, 1997), and coedited with Suzanne Marchand Germany at the Fin de Siècle: Culture, Politics, and Ideas (LSU Press, 2004). Miles Richardson† was Professor Emeritus in the Department of Geography and Anthropology at Louisiana State University. His most recent book was Being-in-Christ and Putting Death in its Place: An Anthropologist’s Account of Christian Performance in Spanish America and the American South (LSU Press, 2003). Since his retirement he had been retooling himself as a biological anthropologist and was working on a book tentatively titled Hominid Evolution: The Trajectory of You and Me, coauthored with Julia Hanebrink.